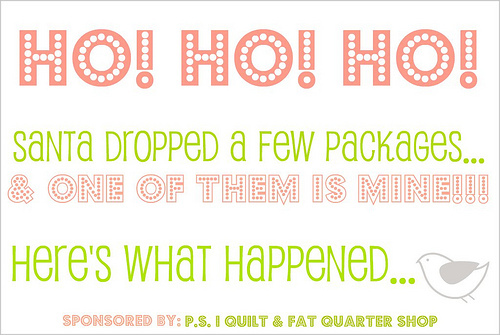 Rachel from P.S I Quilt and Fat Quarter Shop are hosting a giveaway. This is my entry. Santa was on his way to Australia with a sleigh full of goodies when suddenly through the fog appeared a QANTAS A380. Rudolph was startled, as his in-flight navigation system had failed – his shiny red nose. The sleigh did a 360 degree manoeuvre to avoid the giant steel beast and one, small package plummeted down to a tiny village somewhere in the world. In that package was 7 yards of backing fabric for a quilt that had to be finished for Christmas (from the fatquartershop). That package was mine ……. On the other side of the world an excited young woman awoke to find a parcel with her name on it. (Evidently Jane in her country is a very popular name!) All her Christmas dreams came true. 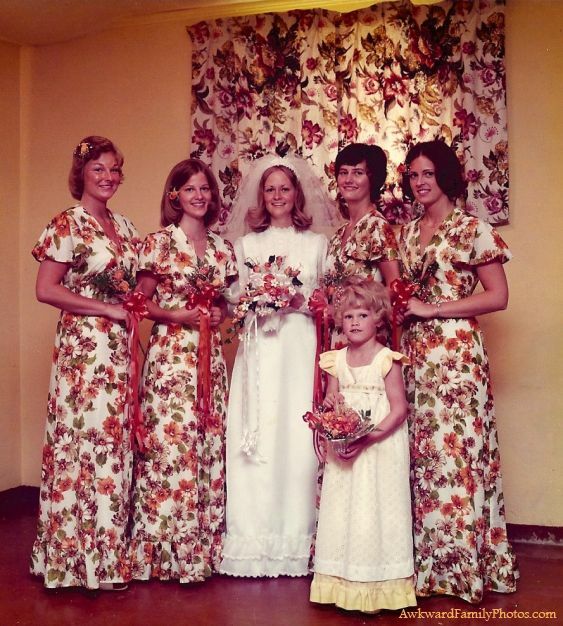 Now she could marry her beloved Janeo (masculine version of Jane) and have the bridesmaid dresses she had always dreamed of. Oh, this is way too funny!! Good job.